Firefox, Safari, Google Chrome! I’m so confused! I don’t want to admit this, but I have three different browsers on my laptop. I know I am not alone on this. Some people seem to think Mozilla Firefox is best or Google Chrome or of course the traditional Microsoft Explorer, but how does one choose? Step one seems to be accessing what is most important for you. Is strong security your priority, or are you looking for the fastest browser? Perhaps you just like all the add-ons. Google Chrome 17 was voted best overall for being a well-rounded browser. It isn’t the flashiest browser, but it’s performance makes up for that. It allows you to close pages that have slowed down or are frozen without restarting the browser. It also has a Sandboxed design that helps to prevent malware infections. It has amazing speed; fully loading image-heavy pages in under 4 seconds! The down side is that Chrome doesn’t have an integrated RSS reader. Which means you would need a different approach, if you subscribe to more than one RSS feed. Mozilla Firefox 10 has been around almost a decade and is still a good browser. It recently cleaned up its toolbar making it easier to use. What I like most like about Firefox is its vast amount of add-ons letting you customize your Web browsing and making it more useful for you. However, Firefox isn’t the fastest horse out there; it took about 9.67 seconds to load an image-heavy page. What about Internet Explorer 9, the old standby? IE9 has some good security features like the new privacy features with the ability to block sites from cataloguing your browsing habits. Microsoft has also embedded an application that will scan downloads and warn you if it is dangerous. The basic appearance of IE9 is a bit improved over early versions but still lacks that bit of pizazz and sadly, it came in at 11.21 seconds to load an image-heavy page. There are other browsers to choose from that are a bit off the beaten path, for example we have Opera 11.61, Apple Safari 5.1.2 and Facebook RockMelt 0.9. How would you know if one of these was more suited for your needs? The basic browser tests are speed, security, sync/mobile sync, themes and RSS reader. Look at how you use your browser. Are you a gamer? Do you watch a lot of YouTube? Do you make purchases online? How much does the appearance mean to you? Are you looking for something flashy or do you like the minimalist look? Of course, one must also think about speed. Are you willing to sacrifice a bit of speed for more add-ons? 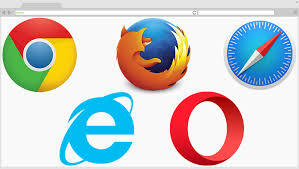 When I took a look at how I use my laptop, I ultimately chose Mozilla Firefox 10 to use as my personal browser. I am willing to sacrifice a little speed to have some nice add-ons. My favorite being an add-on that lets me hide the annoying ads on my Facebook page. I felt the security was good for the type of browsing I do. Also, as petty as it may seem to some, I like the appearance of Firefox. The way it is set up makes sense in my mind. The downside of this is that I found that some things won’t run with Firefox, like the online courses I take at the college. For this I still need to use Internet Explorer in order for it to open properly. Oh well, at least I can eliminate one browser from my laptop. One last thing to keep in mind is that though the above is good information, every browser acts differently based on your hardware set up, Internet connection and any modification that you may have made to your browser. So armed with that let us bravely go out and conquer the browser war!